Where Does Nuclear Diplomacy Stand Now? What was the outcome of the talks in Kazakhstan and why? •Iran would suspend all 20 percent enrichment of uranium, including enrichment at the Fordo facility near the northern city of Qom. Fordo is a heavily reinforced site that could be impregnable to air attack. •The international community would lift some punitive restrictions, allowing Tehran to trade gold and other currencies, which would help Iran get around sanctions on its banking sector. •Stage 2: The P5+1 would lift unilateral and multilateral sanctions on Iran outside of U.N.
Security Council resolutions. In return, Iran would continue to cooperate with the U.N.
nuclear watchdog and answer questions about possible military dimensions of its program. enriched fuel for the Tehran Research Reactor. light water research reactors in Iran. How was this new round different from the earlier rounds of diplomacy? The first day of the talks on April 5 was a disaster. Iran presented its own offer instead of a response to the February proposal. It basically reiterated its offer from the Moscow talks in June 2012. But the P5+1 powers had already rejected that 2012 proposal. A senior U.S. diplomat said that Iran was maximizing demands and only proposing minimal action on its part. The second day of negotiations was not much more productive. Diplomats discussed the same issues, although some said Iran engaged in discussions more seriously than in the past. Instead of repeating rhetoric or prepared speeches, Iranian negotiators reportedly spoke about specific items during question-and-answer sessions. Some diplomats felt this directness was new and even a sign of serious engagement, although they may have been grasping at straws to find a productive outcome. What does the outcome mean? The outcome means that the process is likely to continue. Negotiations are by nature slow, tortuous and full of setbacks, a U.S. official said. “There may not have been a breakthrough, but there also was not a breakdown,” the official said. What happens next? What are the prospects for another round of talks? No date has been set for another round of talks. But a diplomat close to the negotiations said that another session may happen soon. On the other hand, most analysts do not expect to see progress until after Iran’s June presidential election. What are the major gaps in the two sides’ positions? The gap between the two sides is philosophical as well as substantial. The major gap is on the issue of suspension of uranium enrichment, which has always been the key goal of P5+1 countries. The world’s six major powers want Iran to suspend 20 percent enrichment as a confidence-building gesture to clear the way for more substantial negotiations on long-term issues―namely concern about enrichment and possible military dimensions of Iran’s nuclear program. 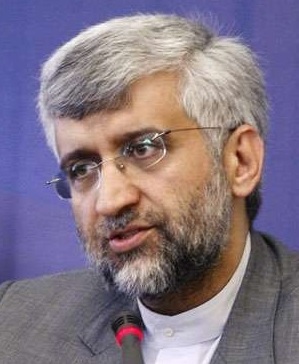 From the beginning, Iran has demanded that the international community recognize its right to enrichment, which already provides fuel for the Tehran Research Reactor and could provide fuel if Iran were to build a bomb. Tehran also does not want to be singled out or placed under any special scrutiny by the U.N. nuclear watchdog or the U.N. Security Council. The priorities of the international community and Iran have barely changed over the last decade. The important difference is that Iran was originally enriching to 3.5 percent. Since 2010, it has been enriching to 20 percent. This causes added concern since weapon-grade uranium, enriched to more than 90 percent, is easier to produce from 20 percent enriched uranium than from 3.5 percent enriched uranium.